I was hoping to share these tasty pecans with you earlier this week, but you know how there's just not enough hours in the day? Yeah, that. 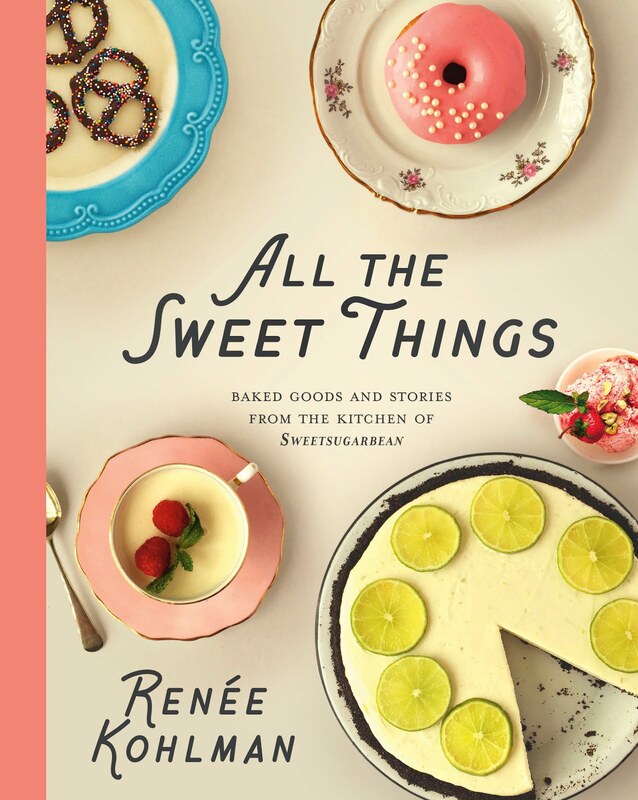 I'm leaving for Toronto tomorrow for my first adventure of 2016 so this week has been all about tidying up loose ends, writing columns and trying to see friends who are here over the holidays. It's been busy! But these nuts. So good! I know you might be watching the snack intake, now that it's January and we're all supposed to be cleansing or something. But, for those who are still in pyjamas and Netflix mode, these will come in handy. 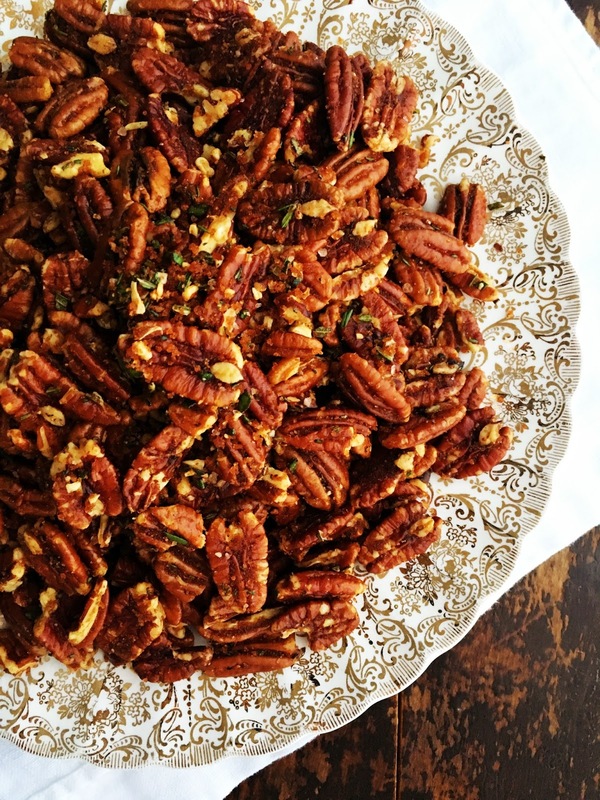 I love how easily they come together - just heat the pecans and toss them in a brown sugar/olive oil/smoked paprika/rosemary slurry. Super addictive, I have to literally cover them and put them in another room so I won't eat them all at once. Smoked paprika makes my life, but you can substitute cayenne. The heat should be subtle, not holy cow these are hot! 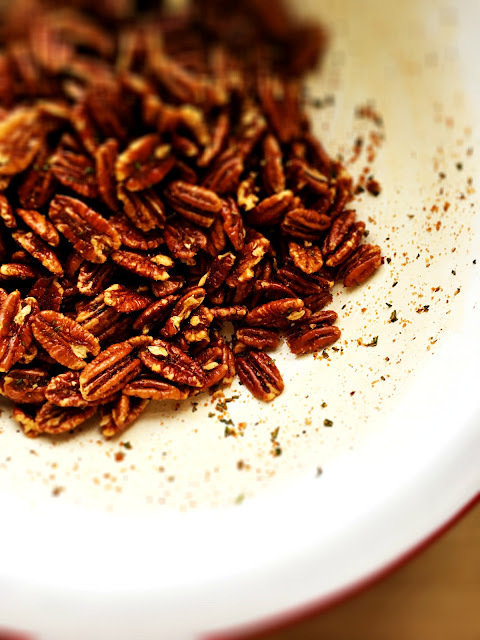 Preheat oven to 400*F. Place pecans on a baking sheet and roast for 5-7 minutes, until fragrant and lightly browned. Meanwhile, place olive oil, brown sugar, salt, paprika in a large bowl and whisk to make a slurry. Stir in the rosemary. When pecans come out of oven, pour them directly into the brown sugar mixture. Stir well to coat the nuts evenly. Season with more salt, if needed. Pour into a serving dish. 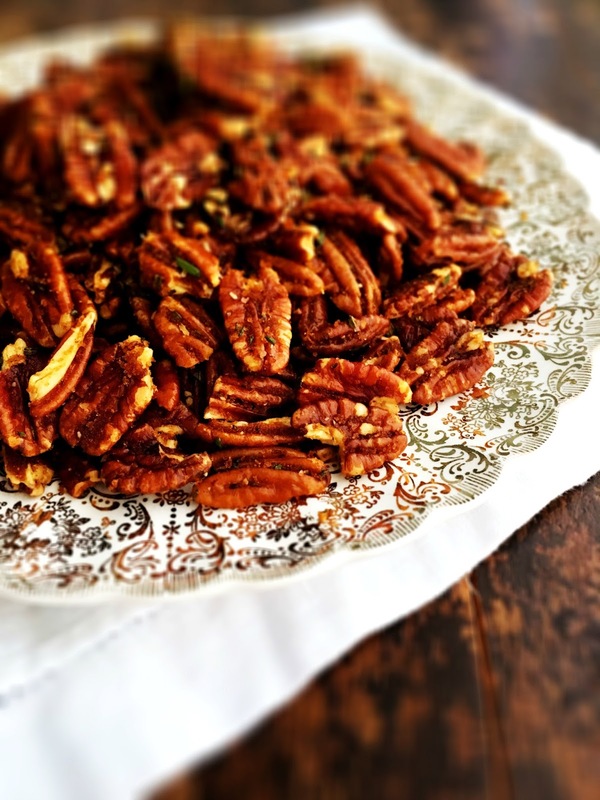 Pecans keep well in a covered container for up to 1 week.